The Monmouth County-based boutique investment firm was recently featured as part of a panel of experts to offer tips and information to real estate investors. SEA GIRT, NJ – First Equity Funding, a real estate fund that focuses on fix and flip loans, recently partnered with Auction.com, the nation’s leading online real estate marketplace, for a Pre-Auction Review in Absecon, NJ. 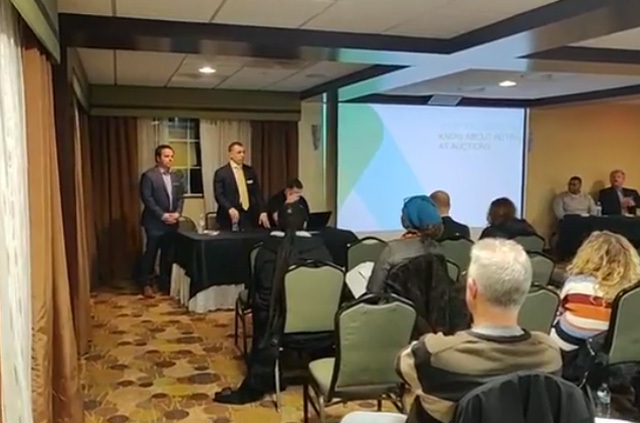 The event featured a panel of real estate experts that included Christian Pepe, Managing Partner of First Equity Funding, and Anthony Palmiotto, Vice President of Lending of First Equity Funding, and highlighted featured properties that will be available at an upcoming Sheriff Foreclosure Sale. To learn more about First Equity Funding, visit https://www.firstequityfundingllc.com or call 732-359-7800. FIrst Equity Funding is a real estate fund that focuses on fix and flip loans for properties in New Jersey, New York, Pennsylvania, Washington D.C., Florida and is expanding throughout 40 states in the United States. Since its incorporation in 2009, First Equity Funding has partnered with hundreds of real estate investors looking to buy, fix-up and sell residential and commercial properties. To learn more, visit https://www.firstequityfundingllc.com.